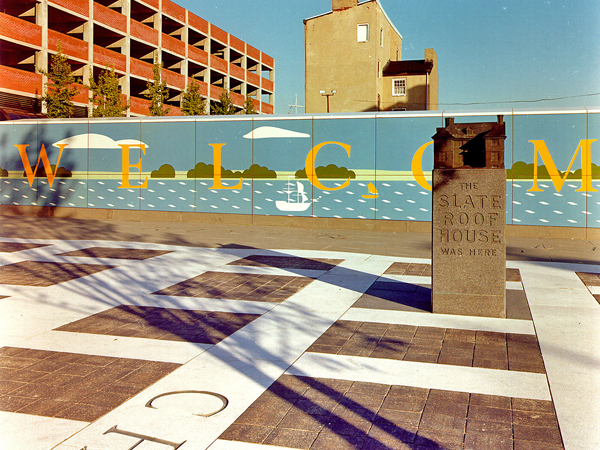 Situated in East Philadelphia close to the Delaware River, the plaza was conceived as an “open air” museum by Venturi, Scott Brown and Associates. 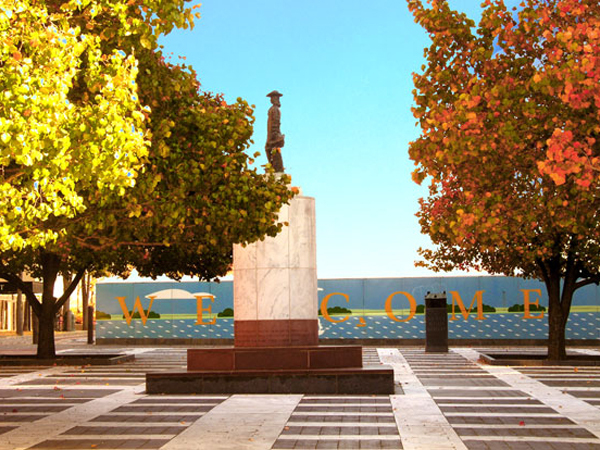 The project is the only site in the city dedicated to interpreting the life and ideas of its founder, William Penn. 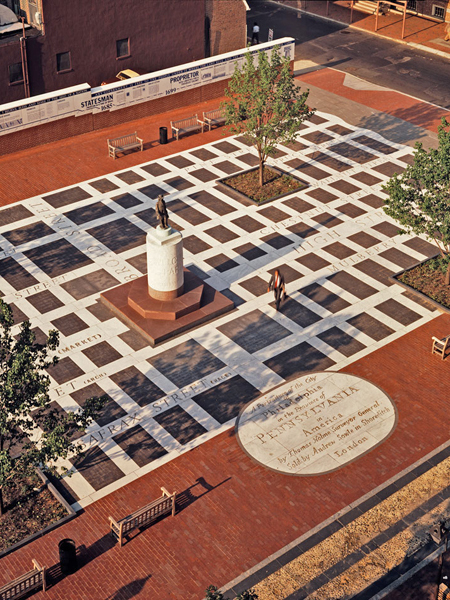 Comissioned by the Friends of Independence Mall National Historic Park and opened in 1982, the design is laid out as a giant map of the original grid-iron street plan of Philadelphia constructed atop a marble ground plane. 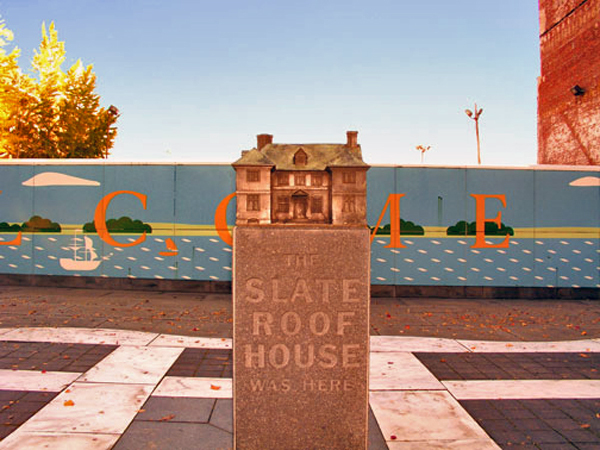 It includes miniature representations of significant features related to Penn, including the City Hall statue and his original slate-roof house. 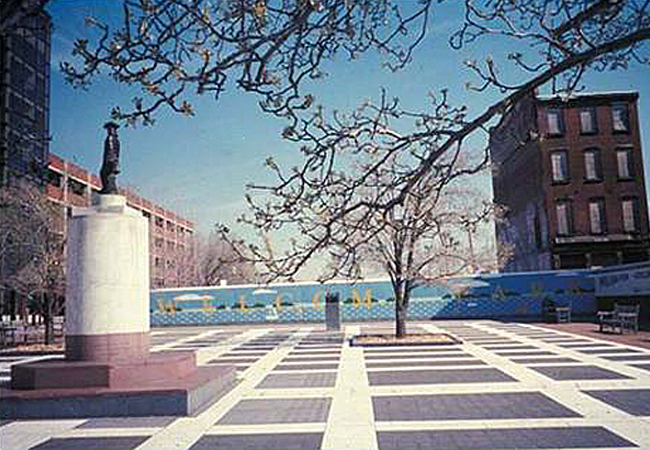 Within the plan, individual trees mark the four historic squares that were part of Penn’s original utopian plan of 1683. 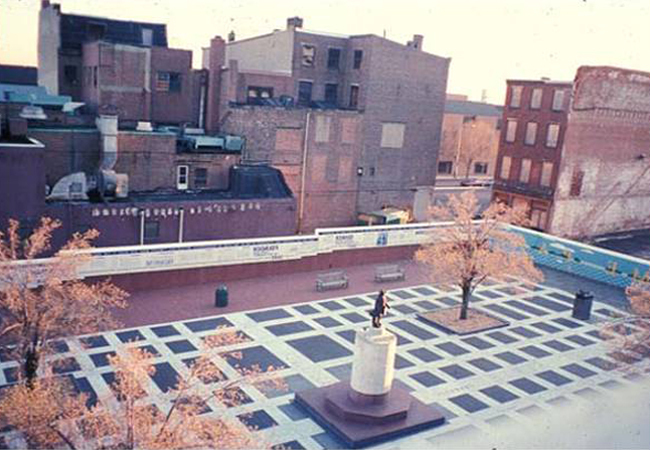 The park is enclosed by two perimeter walls which are primed with a chronological, interpretive narrative that provides a biography of Penn. His farewell address to the city is engraved on the base of the statue model. 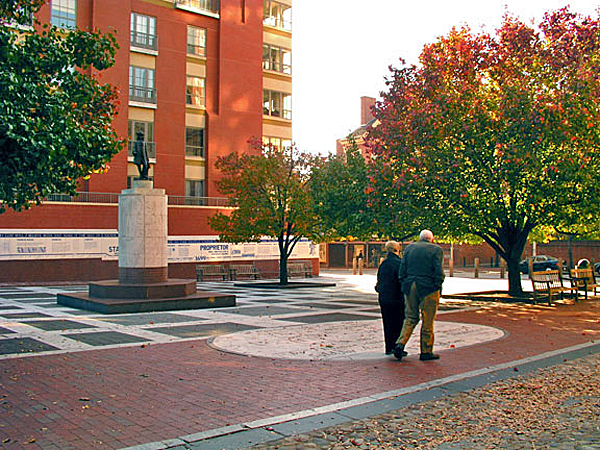 This project, like Franklin Court in Philadelphia and Freedom Plaza, in Washington, D.C., is a unique interpretive design by Robert Venturi and Denise Scott Brown, which reclaims urban space and transforms it into a public plaza.